Amadeus Flutes by Haynes - Professionally Setup & FREE Piccolo Offer! 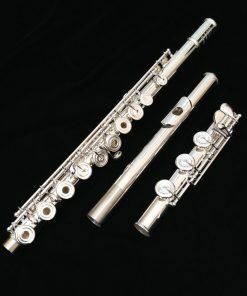 Haynes is one of the most storied flute makers in history. 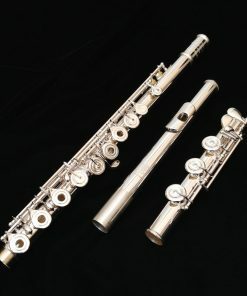 With a reputation for quality & performance, their flutes are some of the most sought after in the professional market. With many professional players and teachers using Haynes flutes as their own personal instrument, a need for an affordable professional flute for advancing students arose. 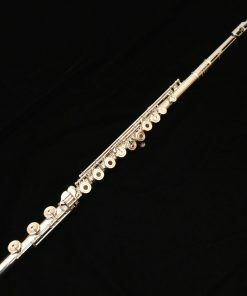 To answer that need, Haynes designed the Amadeus Flutes. These flutes bring the Haynes performance and quality into a price that is affordable. All Amadeus flutes sold by Kessler & Sons are fully gone through in our professional flute shop to ensure that it is at its peak performance when you receive it. Our technicians are well trained to handle the highest end flutes in our Straubinger Certified shop. This setup is of the utmost importance to new Amadeus flutes as it brings out the entirety of these flutes amazing performance potential! When you purchase from Kessler & Sons Music, new Amadeus flutes are fully covered under our ProShop warranty. In this warranty, we will provide 1 year on all adjustments & labor associated with the maintenance of your flute. This includes your first annual C.O.A. (Clean Oil & Adjust) servicing in our shop. 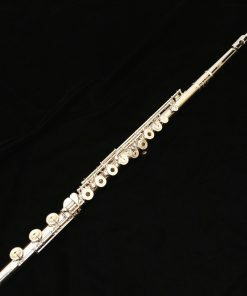 This warranty does not cover damage or misuse (such as having a non-qualified technician working on the flute). The flute, of course, includes the Haynes manufacturer’s warranty as well. The first version of the Amadeus Flutes were released in 2006. 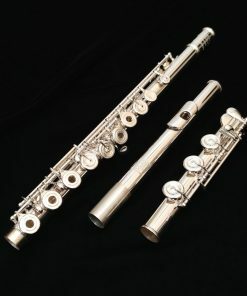 This was one of the first two brands in what has become one of the most competitive segments of the flute market, a segment that we refer to as the Advanced Intermediate (though others call it the Semi-Professional) market. The Amadeus flutes have gone through many changes since its release in 2006 with various manufacturing concepts and headjoint designs. Today, the line has matured into an impressive flute with the performance backed by the Haynes flute sound! With the availability of the Haynes “Classic” headjoint (excludes 580 model), and our exclusive ProShop Setup, the Amadeus flutes now offer a true professional-caliber sound at an intermediate price. Free Piccolo on 680 & 780 Models! Every great flute needs a great piccolo! Well, not really “NEEDS” but let’s be honest, what player who has a great flute (like the 680 & 780 Amadeus Flutes) doesn’t want a piccolo of the same caliber? However, good piccolos tend to be more expensive than good flutes! So, in order to provide you with a better value, we allow you to bundle one of our own Kessler Custom Artist Series Composite piccolos for FREE with new 680 & 780 Amadeus Flutes!!! Purchase of new Amadeus Flutes through Kessler & Sons Music using First Mutual Finance qualify for special 18 Month Same As Cash financing! 18 Month Same As Cash Option Available on New Instrument at Advertised New Price Only. Full details on financing page. Cannot be combined with Free Piccolo offer. Any other special offers (such as local offers or piccolo bundle) can still be financed under standard terms.